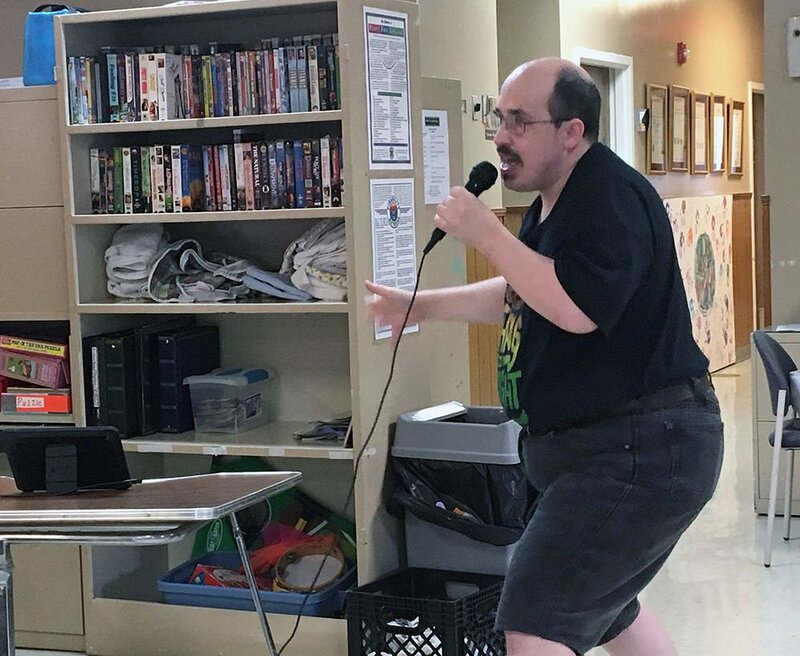 Country music's Jeannie C. Riley may not have a bigger fan anywhere than Roman Charles Sawyer, a 33-year old who entertains his fellow clients at the Network Day Service Center in Rome to karaoke renditions of Riley's “Harper Valley PTA” virtually every Thursday morning. Trena Reynolds is more than happy to oblige Sawyer because it puts some joy in his heart, pep in his step and the other clients, who suffer from a range of developmental disabilities, love to watch and listen to him. Sawyer said his mother met Riley years ago after attending a concert. "I wrote her and she sent me all this," Sawyer said, pointing to post cards, note cards, even her autobiography, “From Harper Valley to the Mountain Top,” in which she wrote a touching note to her adoring fan. Sawyer is quick to tell you that “Harper Valley PTA” was recorded July 26, 1968, and knows that it was actually released in August of that year. "It was the biggest number one country hit and number one on the Billboard chart in the same year," Sawyer said. Truth be known, Riley is the first woman to have the same song top the Billboard Country and Hot 100 charts, a feat that was not repeated until Dolly Parton did it in 1981. The song won a Grammy for Riley for Best Female Country Vocal Performance and a Country Music Association Award for Single of the Year, both in 1968. Sawyer has been a client at Network for about a year and said the thing he likes to do the most is sing. And sing he does just about every Thursday when karaoke time is from 9-11 a.m.
"My little friend Charles, I just thought I'd drop you a note to let you know I am thinking of you. Thank you for being a fan." Sawyer's response, with some help from Reynolds, asked if she would consider coming to Rome if she is ever in the area — because he wants to sing a duet with her. It could be one of those viral hits on YouTube!